Fascial loading with a forefoot (walk or run) strike. 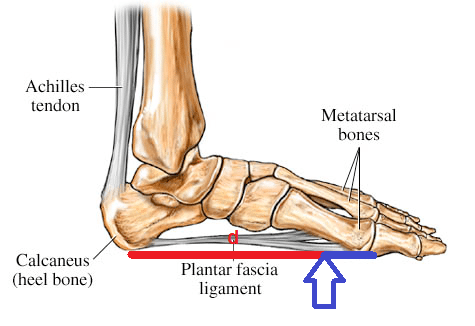 Note the long distance of the red lever with a forefoot strike, in relation to the heel bone, where the facia inserts – and the typical location of the strain. Picture courtesy of WebMd.com, amended by Joe Uhan.